One of my resolutions this year is to cook more and eat out less. 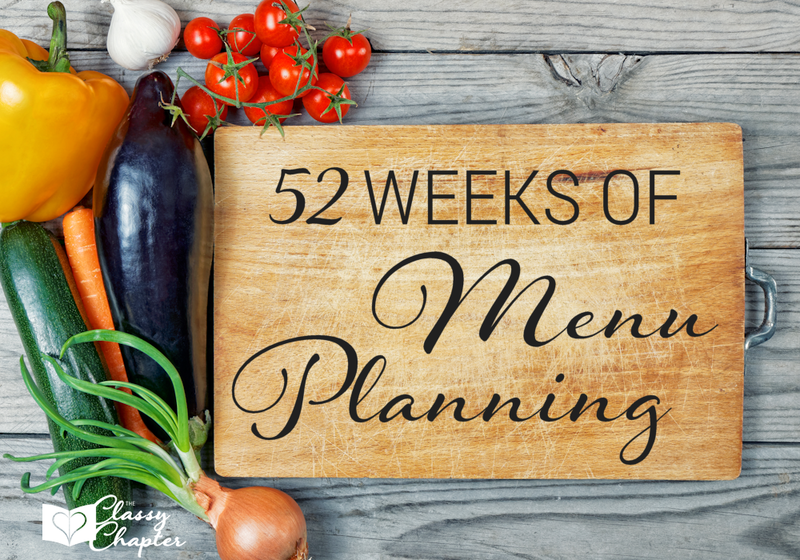 Thankfully, I love to cook but I’m not so in love with the meal planning part. Another odd thing about me is that I don’t like to cook the same stuff over and over again. I absolutely love trying out new recipes and torturing my family with new dishes. 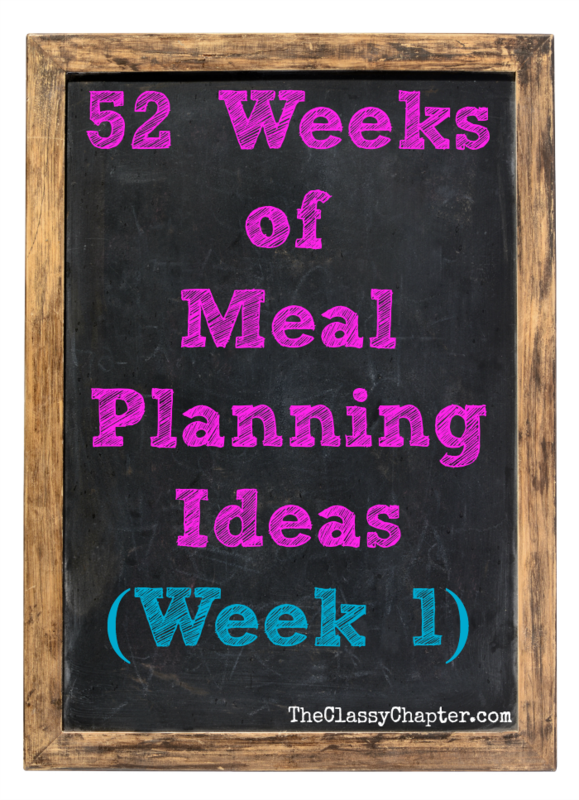 Every week for the next 52 weeks, I’ll be sharing my meal planning menu. I hope this will inspire some new meal planning ideas for you and your family. Keep in mind that my family does not follow any certain diets nor do we have any allergies. What we eat might not work for everyone but it’s what we enjoy! Tuesday – Homemade Chicken Noodle Soup (recipe coming soon) with Sourdough Bread. Wednesday – Honey Garlic Chicken with white rice and artichokes. I haven’t tried this recipe yet but came across while searching on Pinterest. Friday – Grilled Chicken Sandwich with Salad and French Fries. Sunday – Chicken Pot Pie from the Pioneer Woman blog. Make sure to follow me on Pinterest and check back each week for a new menu!